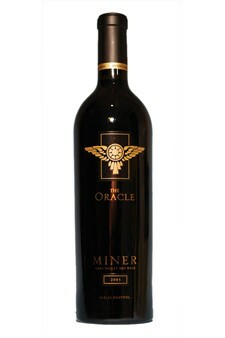 Our flagship wine is inspired by the ancient Greek Oracle, the center of prophecy and wisdom. Aromas of dark cherry and caramel segue into flavors of spicy plum, ripe blackberry with hints of cedar and coffee, backed by requisite acidity and supple, generous tannins. The cooler 2005 vintage is noted for its ideal ripening conditions that allowed for incredible complexity, color and nuance.